Chances are good that you’re among the many who are utterly dumbfounded by recent polls suggesting that a significant enough number of those in the Millennial generation are professing their distrust of capitalism in favor of an economic ideology most had assumed was headed for the dust bin of history. According to University of Chicago’s GenForward Survey of Americans ages 18 to 34, 45 percent of Millennials have a favorable opinion of socialism as compared to 49 percent favoring capitalism. What?! How can this be? Wasn’t socialism and its ilk supposed to go the way of the dodo bird after the fall of the Soviet Union? Isn’t it clear that the rise of China and India from the depths of extreme poverty is a direct result of free market economic reforms? Aren’t the floundering economies of Europe’s PIGS (Portugal, Italy, Greece, Spain), the toilet paper lines in Venezuela or the dark ages living conditions in North Korea enough to scare young minds away from the ills inflicted on this earth by Karl Marx and Co.? Why the disconnect? Simply put: Capitalism has a reputation problem; at least with this sizable portion of Millennials. And if the stewards of capitalism don’t adequately address this, chances are this trend will only continue to spread with future generations of America’s eventual business and political leaders. But there still might be a chance to reason with this misguided segment. After all, aren’t they the generation that gave rise to some of capitalism’s greatest hits like Facebook, Twitter, Apple and the sharing economy? They’re also a generation indicating a willingness to support businesses—yes, even those run by self-proclaimed capitalists—which align with their socially-conscious belief systems. According to Nielson’s Global Corporate Sustainability Report, 73 percent of Millennials are willing to spend more on a product if it comes from a sustainable brand. Eighty-one percent of them expect their favorite companies to make a public commitment to good corporate citizenship. So, how do we save future generations from being seduced by the fallacies of socialism? The call-to-action is more clear-cut than one might think (which makes sense because free enterprise capitalism is after all the most powerful system for social cooperation and human progress ever conceived). In the immortal (if not accurate) words of Mahatma Gandhi, “Be the change you wish to see in the world.” (Actually it was, “If we could change ourselves, the tendencies in the world would also change.” But the former apparently makes for a better bumper sticker). How do we capitalists be that change? We simply need to be better capitalists. And better doesn’t mean any departure from the moral foundation of capitalism’s origins. Better just means being more conscious of how the decisions we make as capitalists impact all of the stakeholders of a business, not just its owners. Luckily, there are already companies leading the way. And we’re not talking fledgling startups committed to politicized social justice issues. We’re talking serious financial success stories of conscious business leaders who just happen to pursue higher purposes beyond just making a profit—doing well by doing good, if you will. 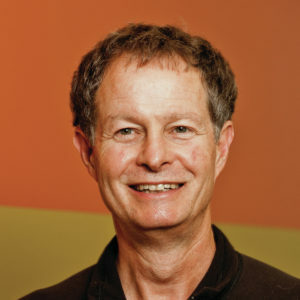 John Mackey is co-CEO and co-founder of Whole Foods Market and co-founder of the nonprofit Conscious Capitalism, Inc.
John Mackey of Whole Foods Market and Ron Shaich of Panera Bread each set out to bring healthier food choices to the masses. The former grew his company into a market leader that was acquired for a premium $13.7 billion by Amazon last year. The latter was the best-performing restaurant stock when measured over the last 20 years, delivering a total shareholder return of 9,753 percent from 1997 to 2017, compared to 210 percent for the S&P 500 during same period. And these notable, household brands known for their conscious approach to business aren’t alone. In his book Firms of Endearment: How World-class Companies Profit from Purpose and Passion, Raj Sisodia (who also co-authored Conscious Capitalism: Liberating the Heroic Spirit of Business with Mackey) spotlights the performance of companies that outperformed the S&P 500 by 14 times and “Good to Great” Companies (those profiled in Jim Collins’s book) by 6 times over a period of 15 years. Such stellar financial performance of consciously-run businesses has even more recently encouraged major investment firms to take heed. Earlier this year BlackRock issued its now famous “Letter to CEOs” which establishes an expectation that businesses it invests in going forward focus on creating social value and Goldman Sach’s launch of a new index fund based on Just Capital’s “feel good” companies. But while large, high-profile publicly traded conscious companies such as Southwest Airlines, Starbucks, Costco and 3M are helpful in restoring capitalism’s reputation, the real epicenter in this battle for the minds of future generations rests where the majority of the U.S. economy resides: with the small and mid-size enterprises with fewer than 500 workers that comprise 99.7 percent of all U.S. businesses. They are companies like First United Bank, a venerable mid-west financial institution that measures success by lower divorce rates and higher credit scores in the communities it serves; driversselect, a used car dealership which places an emphasis on building trust through transparency with all stakeholders; REBBL, a line of plant-based “superfood” elixirs sourced from and benefiting countries ravaged by human-trafficking; Which Wich, a sandwich chain whose “Project PB&J” feeds upward of 150,000 sandwiches each year to people in need in communities around the world; THINX, a high-tech, period-proof underwear brand that also provides menstrual products and education to women in developing African nations at no charge; Greyston Bakery, known for supplying the brownies in Ben & Jerry’s Ice Cream and following its “we don’t hire people to bake brownies, we bake brownies to hire people” philosophy based on its Open Hiring model; and Café Momentum, an innovative restaurant that helps at-risk youths pursue dreams in the culinary and hospitality industries. What do all the business men and women who lead these companies have in common? They’re Conscious Capitalists. They believe their businesses should have a higher purpose beyond just making a profit. But make no mistake, they are capitalists. They fully embrace the pursuit of profit as a worthwhile means to an end of achieving the higher purposes they’ve set for their companies. And along the way, they see that profit as something that can also benefit all the stakeholders impacted by their business (employees, partners and suppliers, communities, the environment), not just solely the shareholders. These are the businesses that are poised to change Millennial minds on capitalism’s potential virtue—if we can get more to follow suit. I say “potential” as, let’s be honest, some capitalists have been less than ethical practitioners of the very system that was meant to provide economic freedom to all. Of course, this nefarious group of crony capitalists and sometimes straight up thieves do not include you, nor I, nor anyone else attending FreedomFest. But they do exist. And it’s up to us to be more conscious champions of capitalism so that its reputation is not further damaged by those few bad apples who choose to be, well, unconscious capitalists. To further explore how a more conscious practice of capitalism can help return to sanity those in future generations who are tempted by the empty promises of socialism, members of the Conscious Capitalism community will be actively leading panels and breakout sessions at FreedomFest, July 11-14 in Las Vegas. On Thursday the 12th, FreedomFest ambassador, John Mackey, will be leading the conversation “Can Conscious Capitalism Change Business for the Better.” Later that day, Alexander McCobin and Amanda Kathryn Roman, CEO and director of learning initiatives, respectfully, at Conscious Capitalism, Inc. will lead a series of three breakout sessions to introduce FreedomFest attendees to the principles of the business philosophy dedicated to elevating humanity through business. 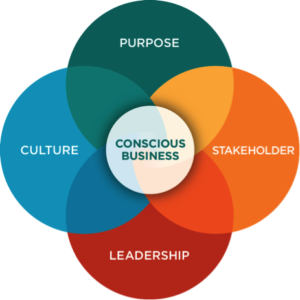 Dan Dement leads Media Relations for Conscious Capitalism, Inc.
Why Belize? Why Right Now?